icons of Made in Italy of the sixties . 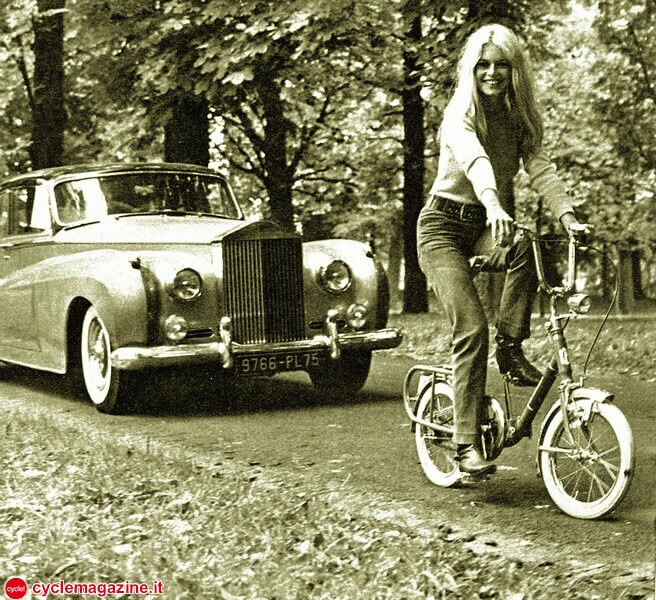 The marketing of the Graziella, presented as "the Rolls Royce of Brigitte Bardot ", has contributed decisively to revolutionize the common perception of the bike, which until the fifties was considered only as sport equipment or as a means of transport "poor", and that in the years of the economic boom it is becoming rather a symbol of social status of the new young and trendy. It has been manufactured without horizontal stem, with a folding central, small wheels, seat and handlebars can be dismantled. In 1971 , it has undergone a facelift with an expansion of the range and increased the wheel diameter from 20 inches. The Graziella was produced until the end of the eighties. It will be reissued in the 2000s with three new models existing nowadays. In 2014, the Graziella is celebrating its 50 years of existence and it is thanks to his collectors! In 2017 - The brand has designed electric bicycles with high quality, the brand has the ambition to be the reference of the folding electric bicycle, bringing his experience and know-how for over 50 years.